The headline of a large ad in the Herald Tribune caught my eye: An amazing scientifically based system that liberates the powerful potential of your mind, and develops your concentration, memory, intuition and creativity. I was fascinated - it was like reading an exact description of what I was trying to accomplish in my 'alpha seminars' on personal development, which were a synthesis of all the methods I had come across previously. Was this some form of competition? I had to find out more. The following evening I found myself in a conference room of a downtown hotel. There were about fifty other people there. The host began by pointing to a large graphic. "The mind has many levels of consciousness, each characterized by a specific type of brain wave. When our mind is focussed on exterior objects, when we are conscious of the world around us and of the passage of time, in other words when our five senses are in full operation, we emit what are called beta waves. "When our mind is focussed inward, on spiritual or extra-sensorial matters, and we forget about the ordinary passage of time, we emit alpha or theta waves. And finally, when we are unconscious, our brain emits delta waves." She mentioned a number of scientific and medical references to back up the theory, and then explained that this course in 'psycho-orientology' developed by José Silva, would teach us how to control our mind by regulating the types of brain waves we emit. I couldn't help but think about an article I had recently read by a certain Professor Gastaut, a specialist in electroencephalogram technology, who was disturbed by ... "... the explosion of mind control businesses, all telling Mr. And Mrs. John Doe to practice their alpha control and electronic yoga exercises in order to attain alpha mastery through an alpha dynamic method which promises to make them smarter and get rid of all kinds of bad habits, as well as stimulate their powers of ESP so they can communicate with long lost loved ones." He went on to defend the victims of these unscrupulous companies, claiming that. "... clients end up buying all kinds of overpriced and ineffective gadgets which are supposed to stimulate alpha wave activity, or pay large sums of money to learn how to control their alpha rhythms without the help of an apparatus, in courses offered by fly-by-night specialists without any real professional training. Gullible new-age enthusiasts generally pay nothing for an introductory lecture, usually held in some posh hotel, and then sign on for a week's course, complete with a guaranteed alpha mastery diploma, often paying hundreds and sometimes thousands of dollars in advance." (From The World of Medicine, August 7, 1974 - a response to this article, which appeared in Psychology Magazine, Vol. 59, is reprinted in Appendix 3 of this book). I must say the professor sounded like a frustrated movie critic who hates his job because he can't get out there and make movies himself. Whenever I come across a review like that, I make sure to go and see the movie - at least half the time it turns out to be great! In any case, I decided to take the course and find out for myself what it was all about. "On Sunday when the course is over," the host was saying, "you'll be given the name and age of someone you don't know. You'll be able to describe that person fully, and tune in to what he or she is feeling or thinking." Everyone in the room was incredulous, except for me - I had already taught the same method, based on a technique developed by Edgar Cayce, with great success. Well, it's Sunday and the seminar is over. It was interesting and disappointing at the same time. Interesting because it gave me an opportunity to practice a lot of exercises, even though I was already familiar with many of them, and because I learned more about José Silva, a living legend for his followers, the father of ten children, a tireless worker who, at the end of each working day, spent his time devouring anything he could find to read on subjects like psychology, hypnosis, occult phenomena and so on, until he couldn't keep his eyes open. 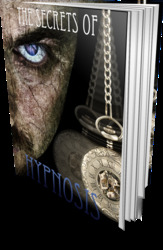 He even did experiments on self hypnosis and clairvoyance with his children and, probably because children are less skeptical and more in touch with their intuition, came up with some amazing results. For one thing, they were able to 'visualize' people they had never met simply by being told their name, and clearly describe how they looked and felt at any given moment. Then, after conditioning them with currents of positive thought and explaining concepts like the power of prayer, Silva would suggest that they cure their subjects by imagining they were their patients. The things the children were able to accomplish were surprising, to say the least. For example, he asked one of his children to imagine a woman suffering from a number of psychosomatic problems because of her solitude. Eyes closed, the child then mimed the act of dipping some bread in a bowl of soup. When Silva asked what he was doing, the boy replied, "I'm putting her into a bath of love." Another case concerned a woman with heart problems. After entering the alpha state, Silva's daughter went through the motions of giving someone a massage. In another room, Silva asked one of his sons to tune into the same patient. "There's something wrong with her heart," the boy said. When Silva asked the boy if he could help her he said, "Someone's already helping her." On another occasion Silva asked his daughter to create an imaginary person who could give her advice and help with the experiments. "Ask what his name is," Silva said. "His name is Thomas, but he says you can call him Tom." "And what does he think about my idea of inventing him?" "He wants to know what makes you think it was your idea?" the girl replied. After winning a large sum of money in a lottery, Silva decided to use the funds to set up an organization that would develop and promote a method based on his personal experiences. He called it the Silva Mind Control Method. "These exercises are a fascinating collection of classical techniques, including self hypnosis, visualization, sensory awakening, and so on, with the added element of a system of symbolism developed by Silva himself. The method seems to me to be an authentic and valuable contribution to the methodology of consciousness expansion." Judging by the success of Silva's Mind Control and Psycho-Orientation seminars, the method does provide excellent results. Since 1970, over 300,000 people have taken his course, and the Psycho-Orientation Institute now has over 250 trained instructors in the United States alone. Some instructors, after being trained by Silva, have set up organizations of their own, resulting in a phenomenal increase in the number of centers offering course on things like alpha dynamics, mind dynamics, and so on. Silva's Mind Control method has also been vehemently attacked by a number of scientists, including Professor Gastaut, mentioned earlier. As far as I can see, it is Silva's pragmatic approach, which can be summed up as 'if it works, use it!' that seems to bother persons whose minds have been trained to think only along scientific lines. This is a gross oversimplification of the mechanism of suggestion which, although it may be effective, still has its limits. In terms of methodology, Silva's psycho-orientation seems to be more of a collection of existing techniques, rather than a synthesis of these techniques into something new and different. Some are difficult to take seriously, while others are embellished with unnecessary esoteric rhetoric. In addition, the kind of unquestioning acceptance demanded of followers is troubling to anyone who tends to think in rational terms. On the other hand, Silva's method does seem to appeal to the North American mindset, which appreciates simplicity and pragmatism. The emotional testimony of thousands of men and women have helped confirm Silva's theory of the existence of some kind of divine presence which defies rational explanation, and which far exceeds the powers of the rational mind. • I will develop my mental faculties in order to better serve humanity. • The only difference between a genius and an ordinary person is that a genius uses a larger part of his / her brain for some special purpose. Now I too am capable of using more of my brain potential for any purpose I choose. • I will never allow my mind or body to develop a disease like ... (specify the disease). People who have taken the course maintain a pragmatic attitude towards these kinds of suggestions. "It doesn't matter what you say, as long as it works." In her book The Brain Revolution, Marilyn Ferguson, a scientific journalist, writes: "The sincere, but perhaps overly critical reaction of many members of the scientific community concerning Mr. Silva's Mind Control method are, in my opinion, exaggerated. Millions of people who never thought to devote a moment of their time to introspection suddenly discover a need to expand their consciousness, to find inner peace, to establish better, more open relations with their friends and family, to learn how to develop self-control, and so on. After completing the course, many report an improvement in their health, more energy, improved memory, etc. Others may lose weight, stop smoking or drinking, or overcome a drug problem." The great advantage of Silva's method is that it has managed to include a number of widely differing techniques into a single system. Towards the end of the course, students are taught how to develop their faculties of ESP in order to give them firsthand experience of just how powerful their mind can be, sometimes with surprising results. Based on experiments Silva conducted with his own children, the Mind Control method uses a kind of mental laboratory in which to demonstrate powers of ESP. Two assistants are present, their role being to represent the parts of ourselves which we do not normally express. The process is designed to allow our subconscious mind to transmit information that we would usually censure or block out completely. It is a rather ingenious way to teach people to receive and transmit messages to that part of themselves which they are not aware of (we'll be taking a closer look at some of these mental techniques in the last part of this book). What seems to exasperate scientists the most is Silva's constant references to the different types of brain waves (alpha, beta, theta and delta) and his insistence that students must learn to control their brain frequencies (with or without the help of some kind of device) in order to reach a special state of interiorization. Detractors claim this is simply a way to get people to invest in devices or courses that do not have any scientific basis, and therefore cannot be effective.